Students study actual letters of recommendation brought by Austin's colonists in order to analyze why it was important to accept only settlers who met high standards of character. First students evaluate their own personal character traits. Then they read letters of recommendation from potential colonists and analyze what character traits are reflected in them. Then they explain these traits and why they are still valued today. Finally, they write a letter of recommendation for an imaginary settler. 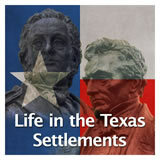 In this experience, students study actual letters of recommendation brought by Austin’s colonists in order to analyze why it was important to accept only settlers who met high standards of character. First students evaluate their own personal character traits. Then they read letters of recommendation from potential colonists and analyze what character traits are reflected in them. Then they explain these traits and why they are still valued today. Finally, they write a letter of recommendation for an imaginary settler. Define the word character and how it relates to your personal life. Read and analyze the Letters of Recommendation from potential colonists. Students will collaborate in small groups for scene 2 and scene 3. Each group will divide 12 letters among group members to read. 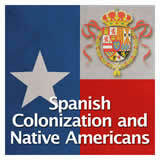 (A) Analyze why immigrant groups came to Texas and where they settled. 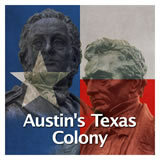 (B) Identify civic responsibilities of Texas citizens. 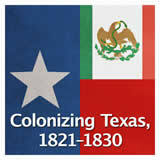 The opportunity to own cheap, abundant land in Mexican Texas was a powerful incentive for many Americans to pack up and set out for Austin’s colony. 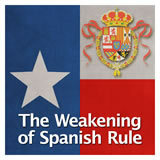 Mexican authorities, however, did not want just anyone settling their land. 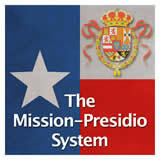 They wanted to make sure the people coming to Texas met high standards of responsibility and conduct. 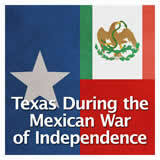 Good settlers meant a prosperous and peaceful Texas, but how could the government of Mexico be sure they were getting good people? The government of Mexico believed one way to help ensure the “quality” of settlers was to require documentation verifying the person’s good character. Character is a set of qualities that defines a person: honest or dishonest, responsible or irresponsible, reliable or unreliable, etc. 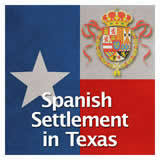 The quality of settlers colonizing Texas was so important to Mexican authorities that they put it into law. 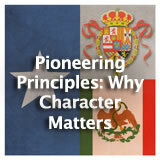 The 1825 Colonization Law of Coahuila y Texas stated in part, “the new settlers who present themselves for admission shall prove their Christianity, morality, and good habits...” In this experience you will learn how colonists tried to prove that they had “good character” in order to come to Texas. In the section below, students answer some poll questions about their own character traits. The answers are anonymously shared with the class. If a student is uncomfortable answering, this section can be skipped. I never make excuses or blame others. I am honest. I don’t lie, cheat or steal. I am a good and dependable friend. I work hard at being successful. The following posts will be shared with you, but not with the entire class. It is also optional, if a student is uncomfortable answering it. Do you think you are a trustworthy person? Why or why not? Would someone who knows you give the same answers you just provided? Why would the answers be the same or different? Ask for volunteers to share their responses with the class. What do you think Austin meant by “bad men” and why would this be a concern to him? 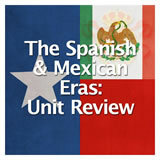 Ask students: What could the government of Mexico do to prevent “bad men” from becoming citizens of Mexican Texas? 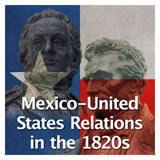 Mexico’s answer to this challenge was to require settlers to bring with them letters of recommendation to show they were people of good character. Tell the students they will be reading and analyzing actual letters of recommendation brought by settlers.